A DeLITEful Day with Magnolia Chicken Station LITE! Last week was a crazy week full of happenings, contests, and foodie events. Aside from those we have already featured, here are some of the bite-size news and announcements you wouldn’t want to miss! Greenwich, in cooperation with NomNom Club, had 2 impromptu Twitter contests for the past two weeks. If you are also following us at @NomNomClubcom then you must have heard the news where you simply follow the Greenwich Twitter account @greenwichpizza, retweet us and you get a chance to win a pan of Lasagna Supreme by using hashtags such as #SolennTongue, #BestIn and #SolennSoap. And the NomNom Club’s winners are: @LadyInPinkTee and @-_rico_b_! You will each get a Twitter direct message (DM) from @NomNomClubcom to get your details. 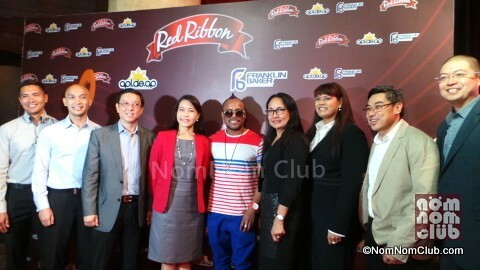 Red Ribbon, Apl.de.Ap Foundation and Franklin Baker launched a campaign last Thursday – July 4, 2013, to help increase access to education in the Philippines called “Red Ribbon Macaroons for a Cause.” More details on the link. 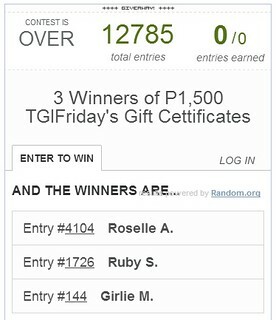 We also had a 3-day TGI Friday’s 4th of July Promo giving away 3 sets of P1,500 TGIF gift certificates! The winners were announced in the rafflecopter widget in the contest post. The winners have been contacted through their Facebook profile. Thank you for continually supporting NomNom Club! Follow us on Twitter @NomNomClubcom , on Facebook /NomNomClub and Instagram @BloggerCircles & @JonelUy.